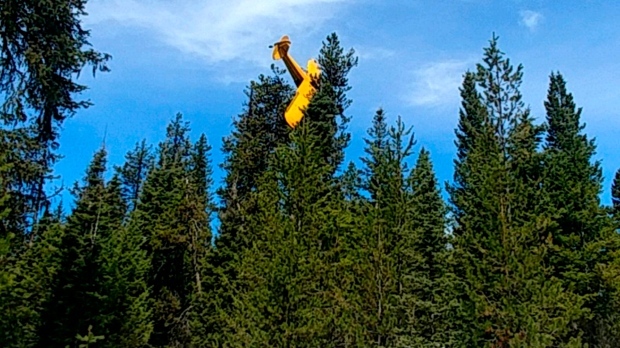 MCCALL, Idaho -- A pilot who was trying to crash-land this week in an Idaho field instead brought his small plane to rest at the top of an 18-metre-tall tree, officials said. 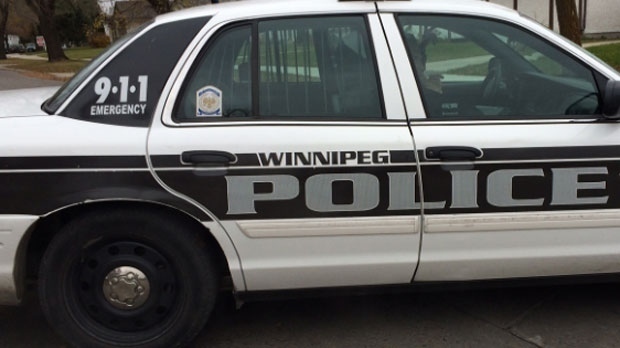 WINNIPEG -- A Crown prosecutor says a female Winnipeg police officer's testimony that a male colleague pointed a shotgun at her on two occasions is consistent and credible, but his defence lawyer calls the claim outrageous. 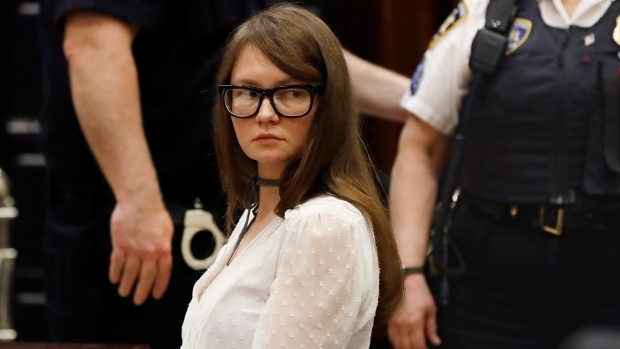 NEW YORK -- A New York jury on Thursday convicted an extravagant socialite who bankrolled an implausibly lavish lifestyle with tens of thousands of dollars she swindled from banks, hotels and friends who believed she was a wealthy German heiress. ST. ALBERT, Alta. 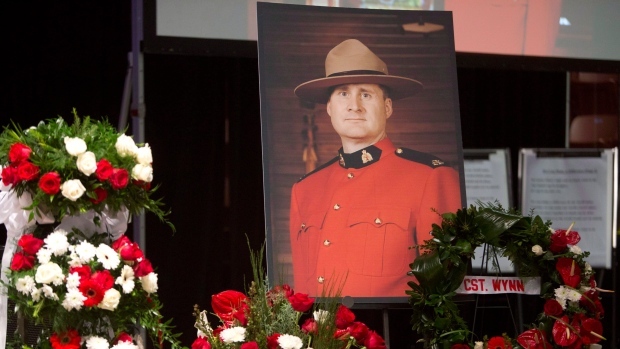 -- The widow of an Alberta RCMP officer killed while trying to make an arrest spoke at a fatality inquiry Thursday to the mother of the man who pulled the trigger. "My heart hurts because you lost your son," Shelly Wynn said to Monalisa Rehn, whose son, Shaun Rehn, gunned down Const. The Bible, published in 1615, was traced to the American Pilgrim Museum in Leiden, about 70 kilometres from Amsterdam in the Netherlands, said FBI agent Robert Jones. When Massoud Ghahremani rolled up the rim on his Tim Horton's coffee last month, he saw the words everyone hopes for: he won a Jeep. But nearly two months after sending in a claim form, he'd heard nothing about his prize — until Thursday, when CBC Toronto contacted Tim Horton's and a spokesperson for the major coffee chain said they realized they were trying to reach him at the wrong number. An Amber Alert has been issued for Ethan Montes, a five-year-old boy believed to have been abducted by his mother and last seen in Mississauga, Ont. Police in Peel Region, Ont., say Ethan Montes is believed to be with his mother, 47-year-old Juliet Mohammed. The boy was reported missing Thursday morning by his father after failing to show up to school in Mississauga, Ont. 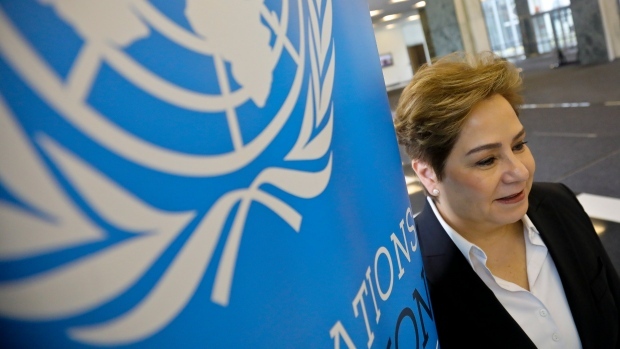 Despite stories of people being squeezed out of Canada's biggest cities by high house prices and rising rents, more young people are actually moving in rather than moving out, according to a new report by RBC Economic Research. In the declaration, the mayor's office says the water levels pose "an ongoing threat" to property, health and safety of nearby residents.